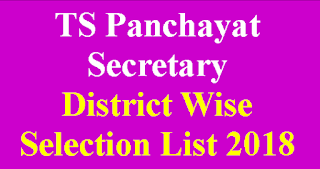 TS Telangana Junior Panchayat Secretary District Wise Selection List 2018 and Dist Wise Last Rank and Marks in each Category Released. And You Can Check in Official Site or Check and Download From Below Links.TS Telangana Junior Panchayat Secretary Results 2018 released on 17-12-2018 By district Collector of their respective sites. You can check Results from Below links. Telangana Government Panchayat Raj Department Released Junior Panchayat Secretary Notification No.2560/CPR&RE/B2/2017 dated:31-08-2018 to fill up 9355 post in the telangana State. Online Application Starts from 03-09-2018 to 12-09-2018. TS Telangana Junior Panchayat Scretary Exam conducted on 10-10-2018. And Released TS Junior Panchayat Secretary Exam Paper-1 and Paper-2 Preliminary Key /Answer key and also Master Question Paper Released on 17-10-2018. 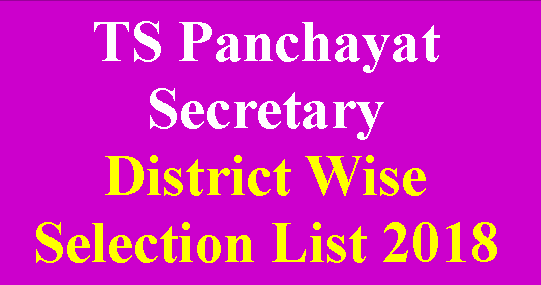 TS Junior Panchayat Secretary Results 2018 Released on 17-12-2018 on By district Collector of their respective Official Website. 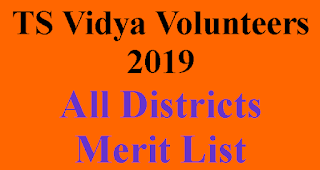 You can check Results and Dist Wise Selection List 2018 from Below Links. 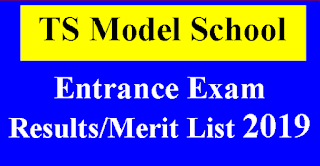 Keep Visiting This page for latest Updates About All Dist Results, Merit List.